Looking at where to start with your style of vacation in Fiji? Everyone is different and looking for something unique to suit their vacation 'needs'. Below should give you ideas to get you further along your Fiji vacation planning. Honeymoon/couple - Extremely popular and for good reason. 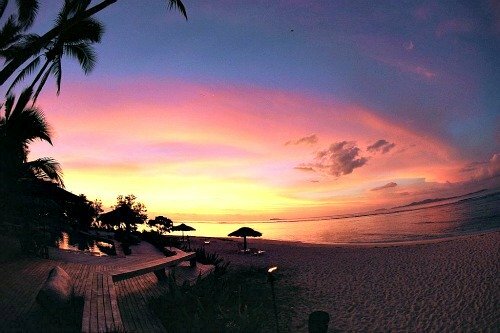 Fiji Honeymoon is your starting point. Luxury - Fiji is on par with the best in the world. Follow your nose at Fiji Luxury Vacations. Family - some great options at the Fiji Family Holidays section to ensure a relaxing holiday for you and a fun one for the kids. Dive - Fiji diving tells you how the diving in Fiji is highly recommended from beginners to pros. Cruises - be it adding a cruise to your Fiji vacation or an ocean liner stopping over in Fiji, Fiji Cruise shows you the way. Surf - for the die-hard surfers, check out Fiji Vacation Activities for the 2 gorgeous island resorts that hold exclusive surfing rights. All inclusive - most/all things included in one price. Generally the more luxurious the resort, the more is included. Flights generally not included. Check out the Fiji All Inclusive section. Vacation packages - usually with extra nights or/and certain activities included. Have a peek at the Fiji Vacation Packages section. Budget - generally Fiji is not a budget destination as opposed to Asia and Central/South America. Honeymoon + luxury - this combo is hugely popular. After all it is the epitome of the once-in-a-lifetime-trip, so you might as well make it special! Check out the 'Top 10 Fiji Luxury Resorts' list for jaw-droppingly exquisite resorts. Family + All-Inclusive - minimum hassles for the family. Check out the lower half of the 'Top 15 All Inclusive Resorts in Fiji' list. 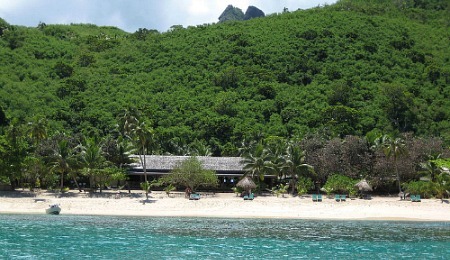 Dive + Vacation Package - Check the 'Top Fiji Dive Resorts' section and the live-aboard option at Fiji Diving.